IPIFF published today a package of guideline documents aiming to assist insect producers in preparing novel food applications. Under the ‘new’ EU novel food legislation (i.e. 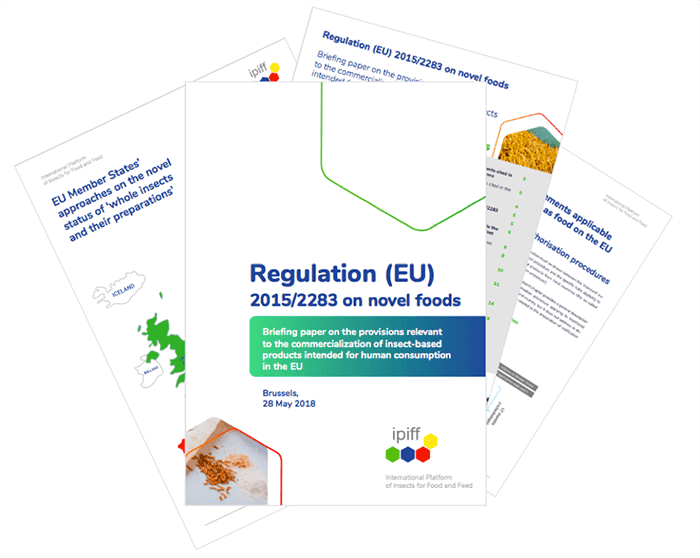 Regulation 2015/2283), insects intended for human consumption in Europe must indeed be authorized by the EU institutions, on the basis of an application dossier prepared by the producer(s). A database of publicly available studies that are relevant to the safety of insects for human consumption. You can view and download these contribution papers on or publications page. For further information about the full scientific report and the database of publicly available studies, please contact the IPIFF secretariat.